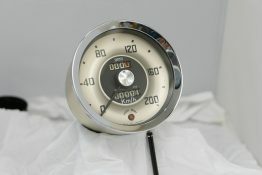 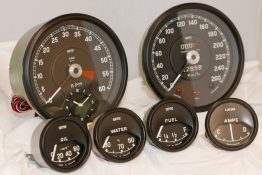 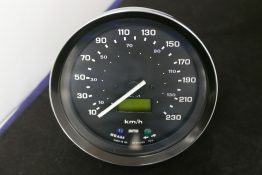 This Aston Martin DB5 speedometer was fitted to the earlier versions of the DB5 running from 1963 to April 1964. 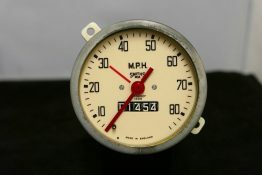 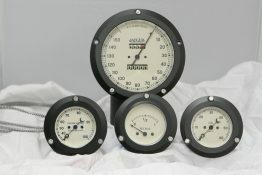 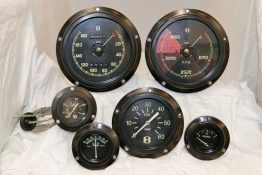 The DB5 speedometer pictured above was built completely from scratch using the original Smiths parts. 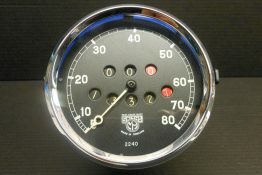 The dial was reprinted in our artwork department, fitted with a new flat chrome bezel and the counters were reset to ‘0’ as requested by the customer. 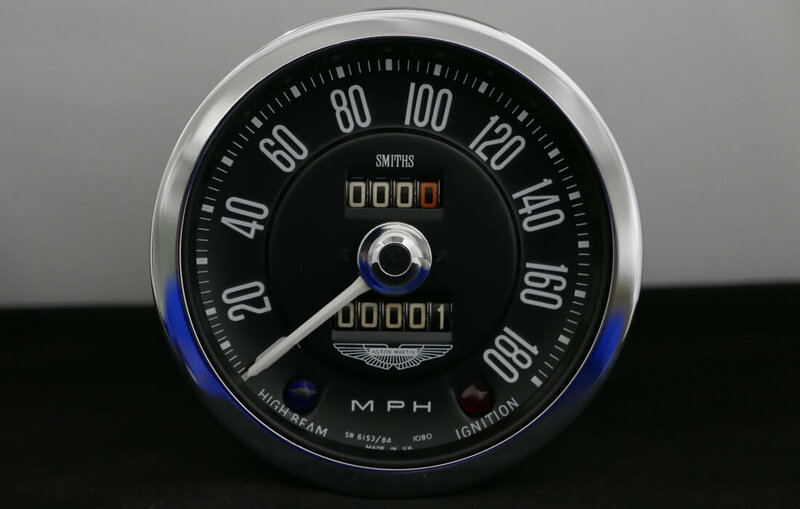 Speedy Cables have the machinery and technical abilities to build new, repair or recondition instruments from the Aston Martin DB5. 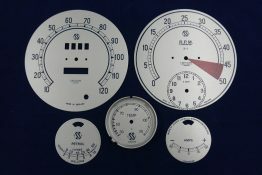 If you are interested in receiving this service then, please get in touch with us.